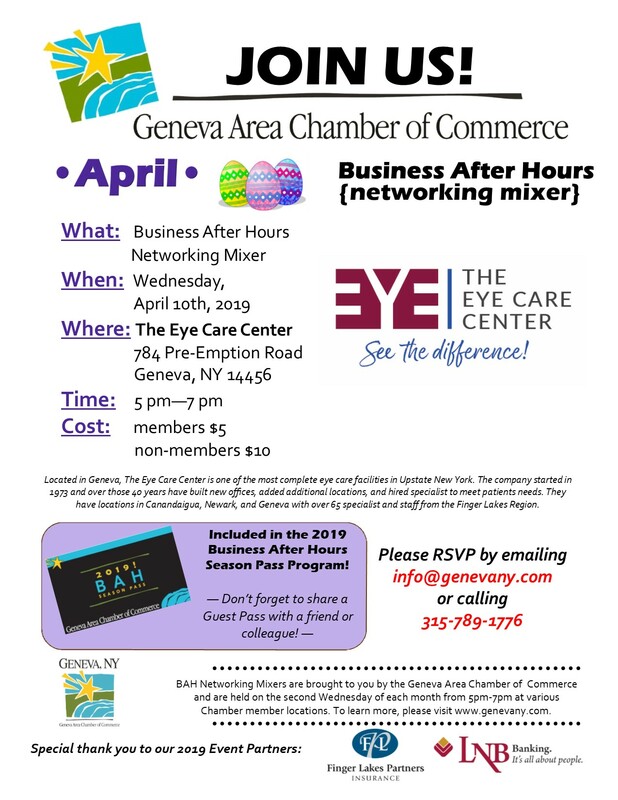 April 10 at The Eye Care Center in Geneva! The Eye Care Center started in 1973 with two doctors and a small office in F.F. Thompson Hospital. For over 40 years, the business has grown, building new offices – including its state-of-the-art facility which opened in Geneva in 2015 – and adding services and specialists to meet its patients’ needs. 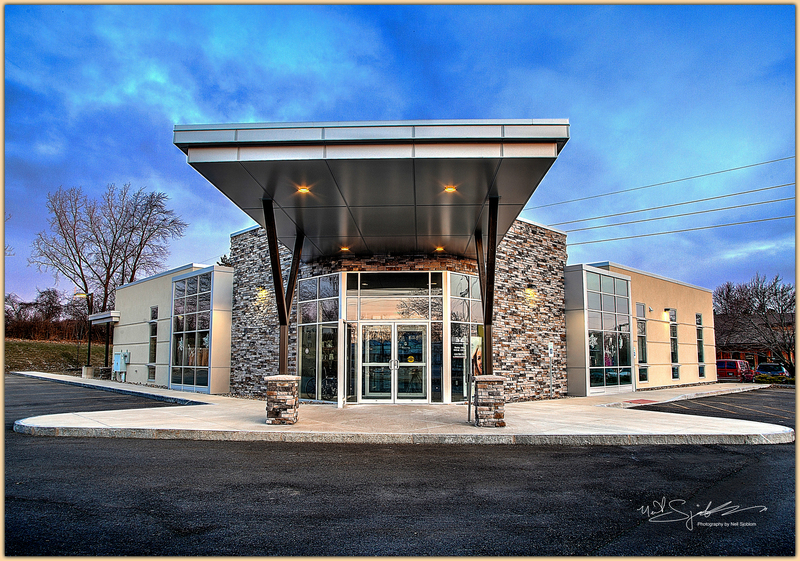 The Eye Care Center offers routine eye exams, laser surgery and emergency eye care, as well as cosmetic services, including Botox and Dermal Fillers. The purpose and goal of Business After Hours networking mixer program is to help increase awareness of Chamber Members by offering guests the opportunity to visit and experience the properties and to see or sample the products or services of each, reinforcing the Chamber’s buy local, shop local and support local efforts. The opportunity to host Business After Hours is an exclusive benefit of Chamber membership. As space is limited for Wednesday’s event, reservations are required, and must be made by Monday, April 8. Business After Hours Season Pass Holders are encouraged to use their guest passes and bring a co-worker or friend. 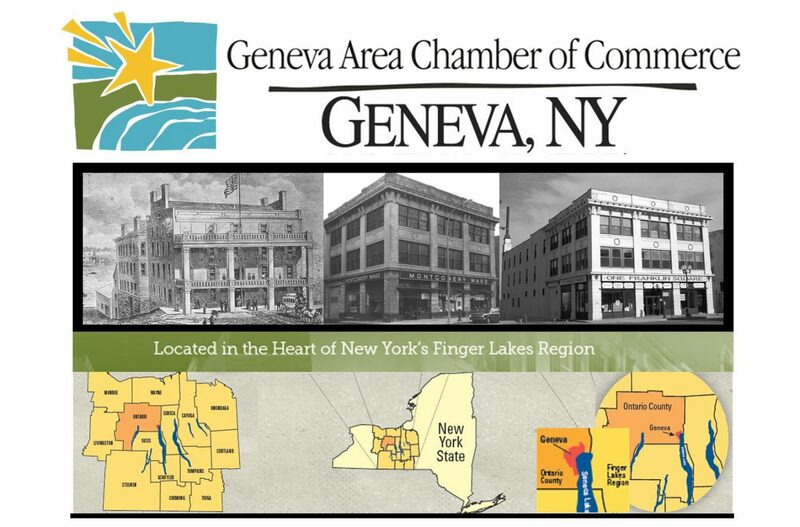 For more information or to reserve space, please contact the Geneva Area Chamber of Commerce by calling (315) 789-1776 or emailing info@genevany.com.